Many people are familiar with stuffed vegetables as an option for a meal. However, some fruits can be stuffed to have as an option for dessert. 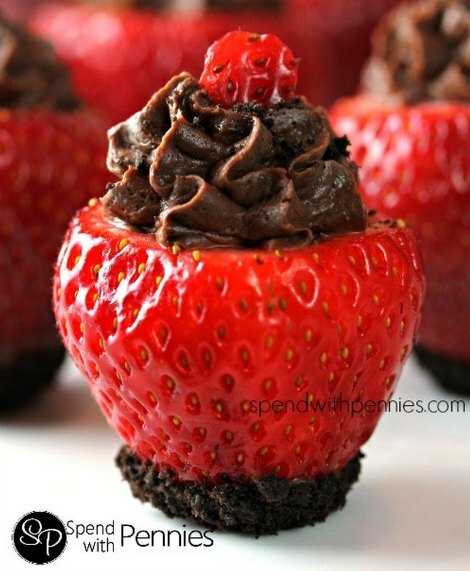 One option that you may find interesting is to prepare homemade chocolate cheesecake stuffed strawberries. Anyone who enjoys strawberries with cheesecake will find this to be a tasty item. The most important part of this task is finding the best strawberries. Large fruit is the best option when you want to make chocolate cheesecake stuffed strawberries at home. You can use smaller strawberries, but your dessert may not turn on correctly. The strawberries can be prepared before or after you make the cheesecake. Another benefit of preparing chocolate cheesecake stuffed strawberries is no baking is required. If you want a decadent dessert to have as a snack or to serve after a meal, then this will be a great option. You only need a variety of simple tools to complete this task.